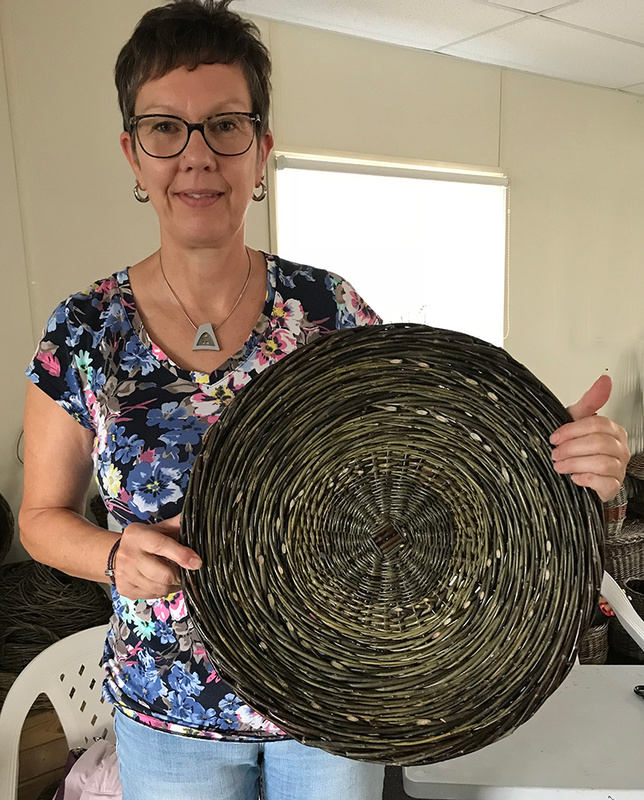 Our living willow workshops are in full swing. CHECK BACK FOR THE JUNE WORKSHOP SCHEDULE IN MAY. A new schedule of workshops will be posted approximately one month prior to the beginning of the eight week session. During these sessions we offer two or three workshops per week. Classes run from April thru early December. 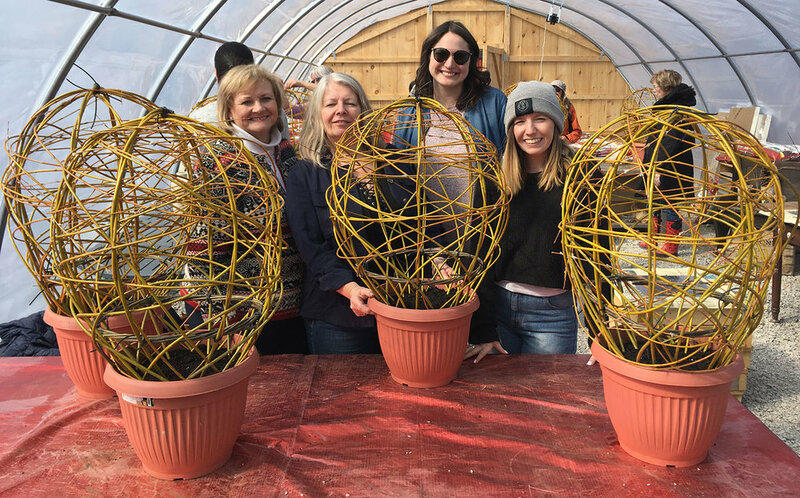 April begins with Living Willow followed by Garden Ornaments in May and then Baskets and more right thru until the end of November. Subscribe to our workshop email list or LIKE us on Facebook to hear see the schedule as soon as it's posted. 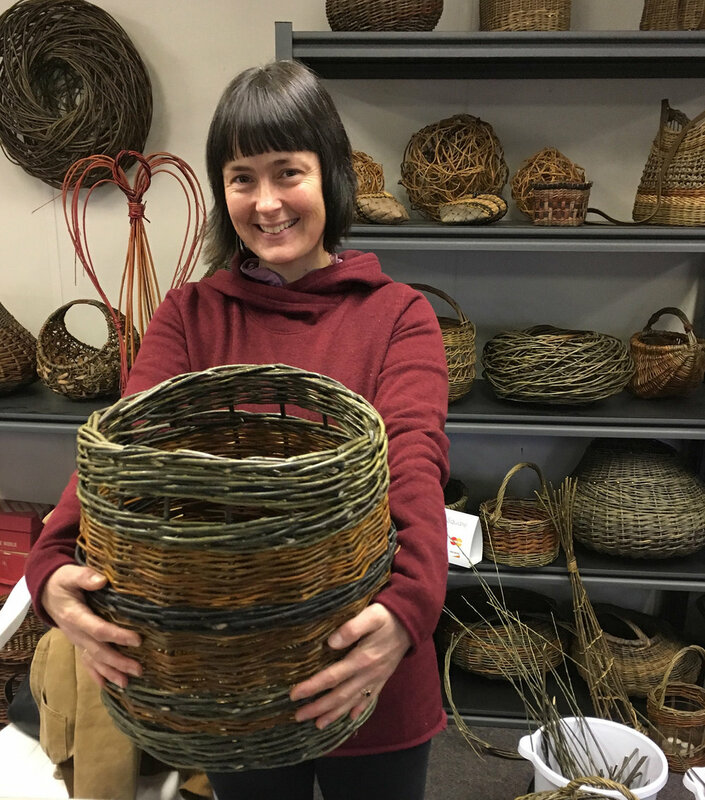 We offer adult workshops throughout the year using our special varieties of basketry willow. Beginners are welcome in most of workshops, if experience is required it will be posted in the course description. Sign up for half day, full day, two day classes or longer! We provide hot refreshments for every class. A delicious catered lunch prepared by talented Chef Melissa Smeets at Melly Rolls is an option available for full day workshops. If you are planning a weekend trip let us know. The Northumberland Hills is a beautiful area for touring by car or bicycle. We can suggest local restaurants and lodging if you would like to stay locally. Have you taken our quiz to find out if you are a SERIAL WEAVER? If you answer correctly you may qualify for some great discounts! To get the latest news about workshops and dates either sign up to our Workshop e-mail list or Like us on Facebook. Spaces are limited and many of our classes fill up quickly, we encourage you to join a waiting list for any classes marked 'SOLD OUT'. We take online bookings payable by credit card on a first come first served basis. If you are unable to pay by credit card online, please contact us to arrange payment by e-transfer. The full fee is due upon registration. Before you book we encourage you to read our cancellation policies. If you have a gift certificate you may redeem it when you checkout using a discount code. Please contact us with details and we will send you the code. Our classes are designed for adults, minimum 18 years of age or older, unless otherwise indicated. Sorry, we are unable to accept bookings from participants who would like to bring children or pets to the workshop at this time. We are hoping to design some parent/child programs in the future. Please contact us if you would be interested in participating. WE HAVE GIFT CERTIFICATES! 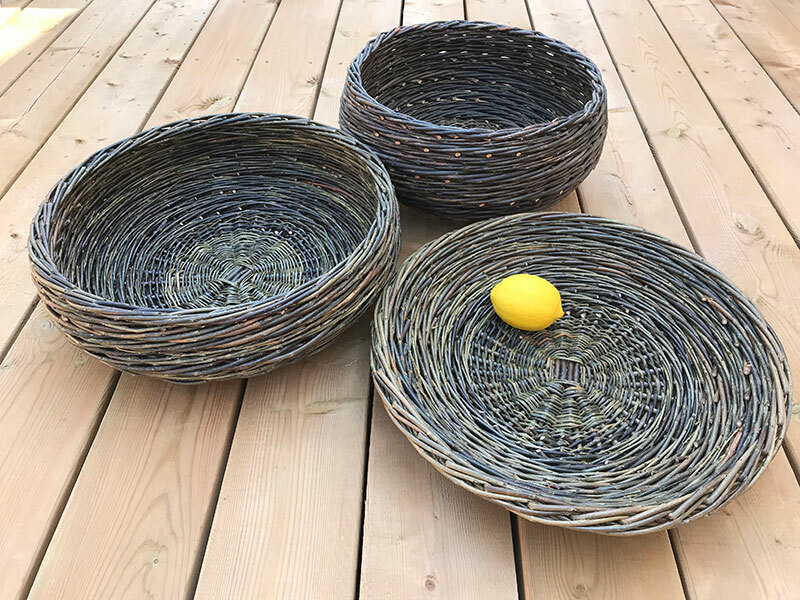 A great way to share our workshops, baskets and other handmade items with friends and family. You may purchase a gift certificate via email (we will email you a printable pdf file) or in person if you are attending one of our classes. Sorry we do not have a retail store. 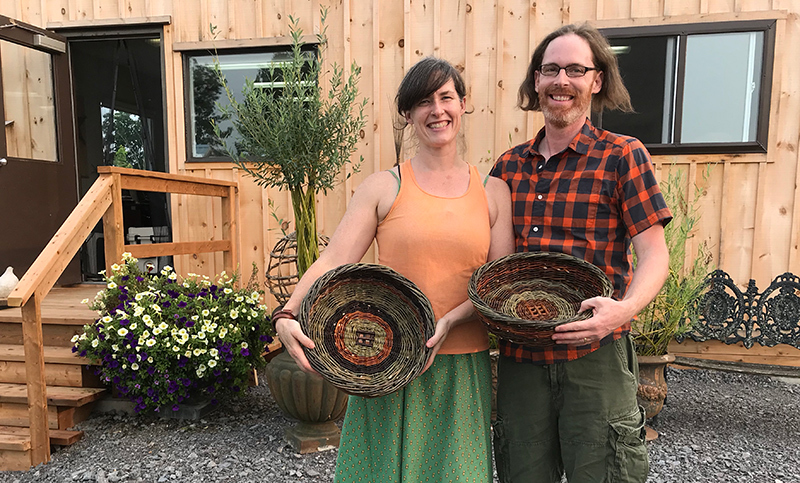 Certificates can be redeemed online when booking a workshop or by appointment if you would like to purchase one of our baskets, living willow kits or garden ornaments at our studio on the farm. CONTACT US TO ORDER ONE TODAY!